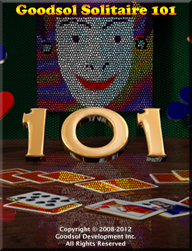 Our iPad Solitaire game with 500 games is now available. 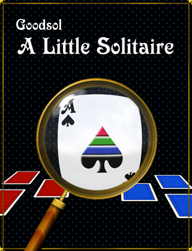 Pretty Good Solitaire for iPad is now available in the App Store for the low price of only $9.99 US. That is less than 2 pennies per game! Pretty Good Solitaire Touch Edition contains 500(!) 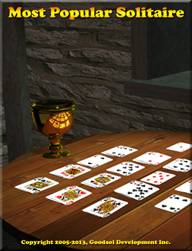 games, which gives you more different ways to play Solitaire on your iPad than any other app. 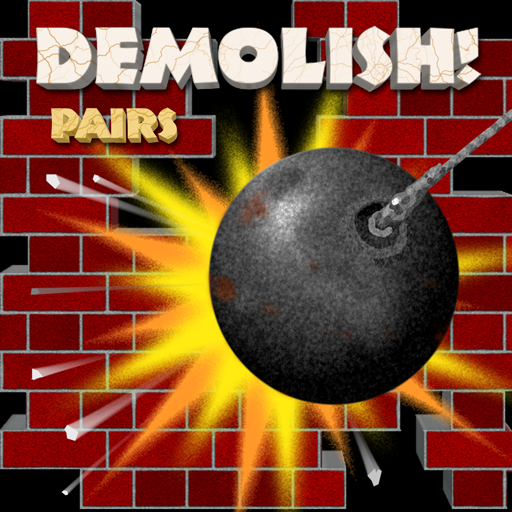 Just to sweeten the pot, we have included another 70 bonus games, which are variations on included games providing slightly or significantly different challenges. This is the best iPad Solitaire game, bar none. There are many nice, new features and, of course, lots of games, which are detailed on the PGSTE web page. While visiting, you can also check out the new website design at Goodsol.com, which also includes all of our Windows Games and Mac Games. 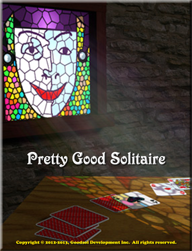 This Pretty Good Solitaire release is the culmination of years of development effort on the Goodsol Solitaire Engine. Of course, this does not mean that we are done… Oh, no! 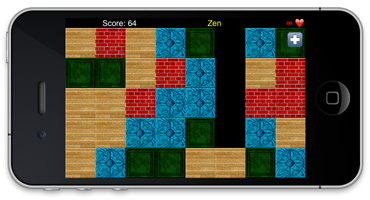 We have already started beta testing for the second development phase (first updates) on our iPad games, and now the cross pollination among Windows, Mac, and iPad continues, with popular iPad features being added to the engine for Mac and Windows, and the core GSE product for Windows rapidly approaching the 810 games in the flagship game. When I am not developing games, or playing Demolish! Pairs, I am frequently enjoying Pretty Good Solitaire on my iPad. Really. 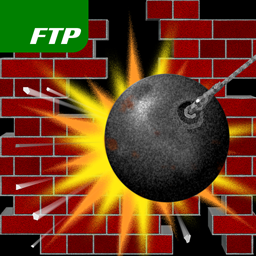 Now our second iOS title is available in the App Store. Yesterday, Apple approved Goodsol FreeCell Plus, our second Solitaire game for iPad, and it is now available in the App Store for only $1.99! 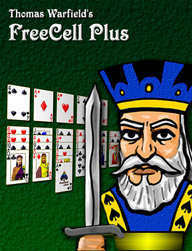 Goodsol FreeCell Plus is a collection of 12 different FreeCell variants, including FreeCell itself, as well as some other very popular games, such as Eight Off, Penguin, and Sea Towers, plus 8 more. The title also includes 3 different card sets, 16 back designs, and features all of the quality gameplay you expect from us. As a bonus, free of charge, you also get the cherished “Goodsol” branding because, oddly, Apple does not allow both iOS and Mac OS X games to have the same name, even from the same developer. FreeCell Plus is just starting to climb the charts, and we anticipate a decent spike when the next Goodsol newsletter announces it. Last week, A Little Solitaire climbed to #1 in Card Games, with a 5-star rating, and I expect that FreeCell Plus will perform similarly.